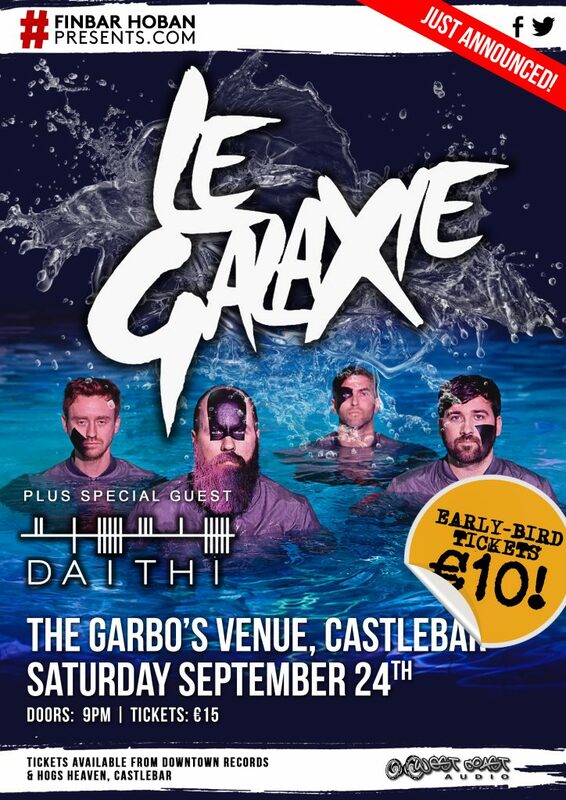 Dublin electronic dance wizards Le Galaxie will be making their Castlebar debut in the Garbos Venue on Saturday 24th of September 2016. Fresh from a stunning live show at the Electric Picnic festival the band, along with support Daithi are sure to thrill. Tickets are 15euro and doors open at 9pm. Like the boogeyman who just wont stay dead, the Finbar Hoban Presents annual Halloween fancy Dress show returns once more to deliver the chills. 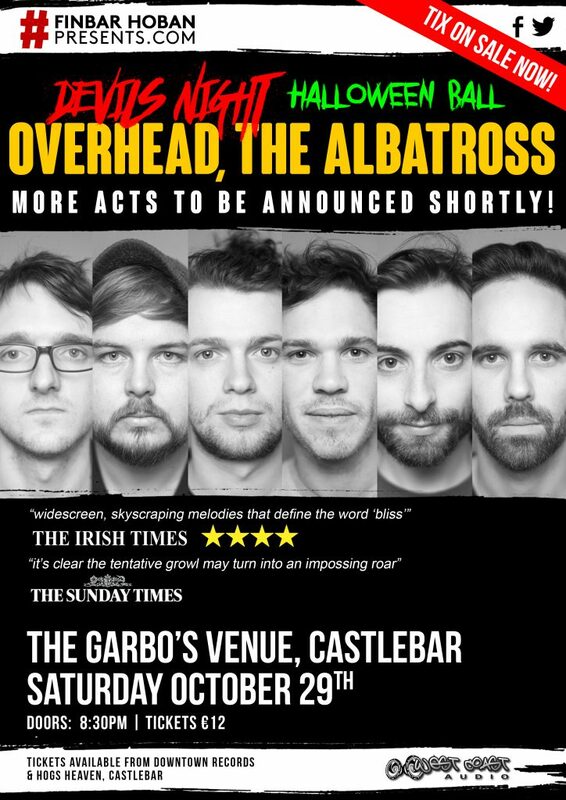 Bigger badder and wackier than ever, Mayo's premier Halloween extravaganza will be showcasing music from headliners Overheard the Albatross with support from FangClub, Pranks and Finbar Hoban Presents regulars and much loved, Music for Dead Birds. Prizes on the night for best costume. Be creative, be different. The show gets some of the most bizarre outfits imaginable so competition is fierce. Tickets are 12 euro and can be purchased in Downtown Records or Hogs Heaven Bar. Be prepared for a scare. 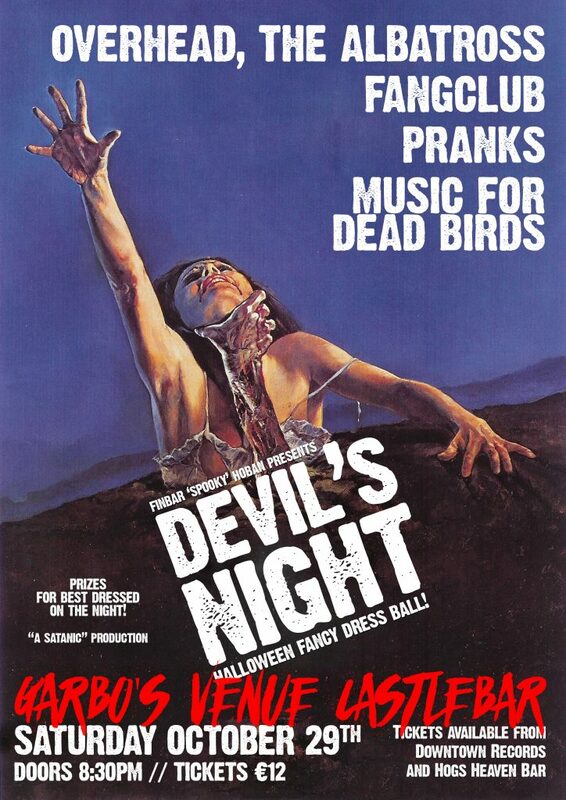 It's Devils Night after all Gals and Ghouls! We are proud to announce a very special show scheduled for this Christmas season. 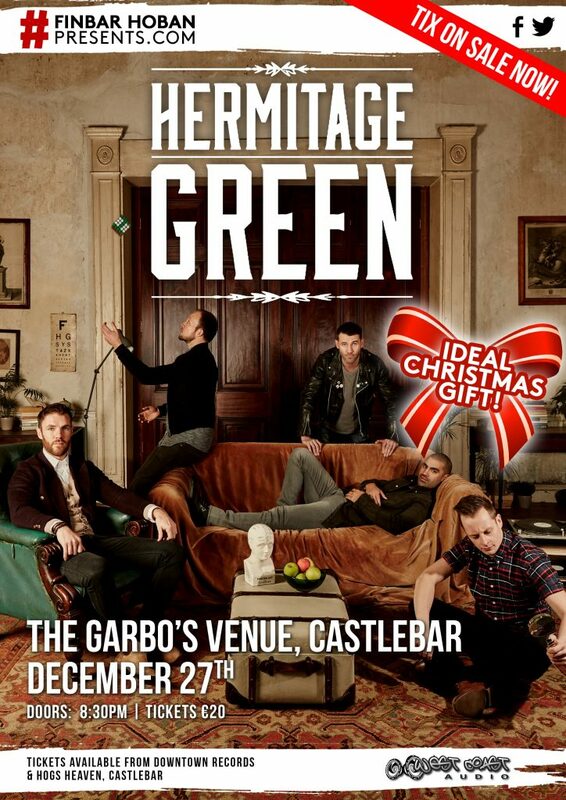 Hermitage Green will be playing live in Garbo's Castlebar, Co. Mayo this December 27th. As part of their Christmas tour the Limerick folk rockers will be stopping off in Mayo for one incredible night of live music, where they will be showcasing songs from their stunning debut album "Save your Soul." Tickets are sure to vanish for this one so make sure you pick one up early. An ideal gift for a loved one this Christmas! Tickets are 20 euro and are on sale now from Downtown Records and Hogs Heaven bar, Castlebar. Tickets are also available online at www.tickets.ie.